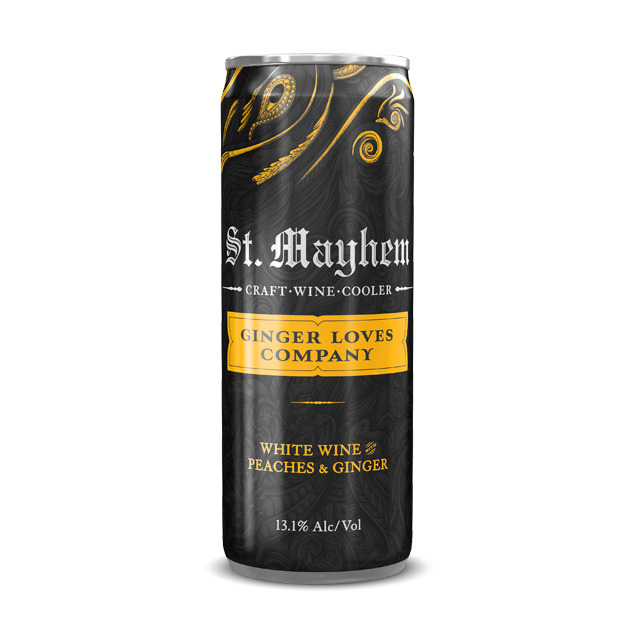 All the great, deliciousness of St. Mayhem Ginger Loves Company with the convenience of a can. The best chardonnay grown, organic ginger and the perfect amount of peaches make this is a thirst quenching, flavored and fun. Remember this is a bottle and a third in every 4 pack.